KU users please remember NOT to use the flip page feature when reading on your devices. Page flip is a navigational tool and using it for navigation does not count toward pages read by design. You can turn off your page flip by going to your settings on your devices. 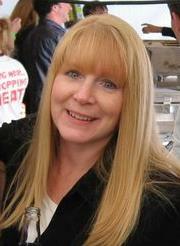 Thank you for supporting Indie Authors. 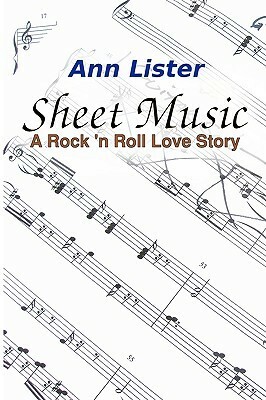 Sheet Music (love the name), is an angsty rock star romance. It is long, so be prepared when you start. Michael is a 38 year old career rock star who I feel in love with from the start. Does he screw up a few times, sure. But he was so much more than what Annie gave him credit most of the time. His heart was huge and he did so much for her. Annie really puts him through the wringer on more than one occasion and sometimes I just wanted to shake her. Annie…I started out liking her but she couldn’t get out of her own way most of the time. Her insecurities were seemingly limitless. She had some valid reasons for her distrustful nature but she projected so much of that onto other people, mostly Michael, that it really was unfair. As I have stated in other reviews, I don’t have to like all the characters to like the book. As the old saying goes “the girls always love the boys in the band.” The temptation is always there and it has to be the persons choice to not take the apple. You have to trust them to make that choice. There were secondary characters that I wished Lister had expanded. There were a few of the situations outside of the main story that I thought deserved more page time, especially with the length of the book. There is an HEA, but I was hoping for something a little more at the end. It was sweet but I wanted powerful. Overall an enjoyable read. I was gifted a copy for an honest review. Click want to read, and add it to your TBR shelf.